Karen Drake has been a fixture at the Old Town Hot Springs for generations. 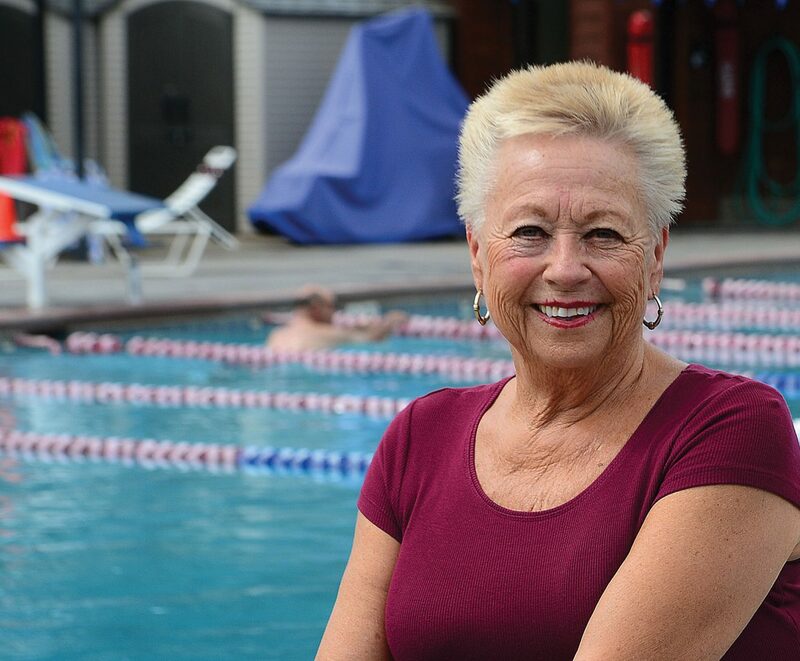 She started coming with her physical education classes after being hired as a teacher at Steamboat Springs High School in 1968 and has continued teaching the children of Steamboat Springs to swim for generations. Today she is teaching the grandchildren of some of the first students to take part in her programs. On the first day of the first year after the Second World War, on a windswept plain in the vast Nebraska farm country, a girl child was born. The year was 1946. It has been said that the babies who came into that place in time were born in triumph and destined to be triumphant. It is an axiom that applies in great measure to this particular baby girl. Hardships and hopes, trials and triumphs marked the life of the Polish girl, who learned from her mother to face every challenge with the hope that remained ever-strong in her Catholic Christian Faith. Karen Katherine Zocholl was born to 3rd Generation Polish immigrant farmers, Paul and Domicella (Sally) Zocholl. Baby Karen joined her 3 year-old-brother, Tom, in an immediate family that was small, with an extended family that was enormous. 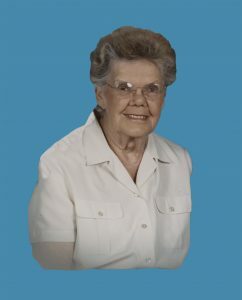 Sally was the 16th of 16 children, so aunts and uncles and cousins were everywhere in Sherman County, Nebraska where Karen was born near Loup City, the Polish capitol of the state. The Zocholl family farmhouse had no electricity or running water. Tom and Karen’s early education took place in a one-room schoolhouse on the other side of a wide irrigation ditch. Fearing that little Karen might fall into the ditch and drown while crossing the makeshift wooden plank bridge, Paul and Sally hired a swimming instructor, charging her with the responsibility of teaching Karen to swim, before she would be allowed to go to school. Karen’s swimming lessons took place in that dangerous ditch; and the love of swimming born therein would ultimately lead her to a lifetime career teaching other children, and an occasional adult, the athletic art of swimming. A side note here. Last summer, Karen received a Certificate of Recognition from the American Red Cross, thanking her for more than 50 years of service to that organization as a water safety instructor. Karen was ten years old when drought forced the Zocholl family to leave the farm. They traveled west to the Denver suburb of Westminster, where they put down new roots that would thrive for the rest of Paul and Sally’s lives, roots that would hold the hearts of their children who never strayed too far from the Front Range of the Colorado Rockies. In 1963, Karen graduated from Westminster High School and went on to Western State College where she earned her degree in Physical Education. A dedicated, and fun loving student, Karen was the pretty cheerleader who met and fell in love with the school’s quarterback, Mark Drake. When she graduated from college in 1968, Karen moved to Steamboat Springs where she began teaching Physical Education at Steamboat Springs High School. Karen married her quarterback, on August 9th, 1969 at Holy Trinity Catholic Church in Westminster. The couple was married for just under a half century. They’ve never left Steamboat, where they raised their son, Mark Anthony Drake, and their daughter, Kendra Marie Royal. Karen’s career in education here in the Yampa Valley was legendary. For starters, Karen began a new tradition of High School Home Coming Parades during her first year with Steamboat High. She also initiated gymnastics classes and literally breathed life into a heretofore low-key girls physical education program. 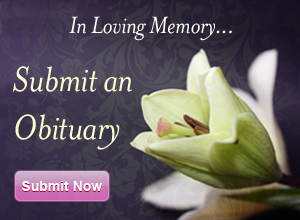 Karen was a strong, determined, tenacious woman who worked hard throughout her life. The greatest joy of Karen’s life was her family. She took time off from work only when Mark Anthony and Kendra were young children. She was a homemaker of the old school, a hostess who made enormous parties look easy. She and Mark were fabulous dancers, rhythmic and light and ever so lovely to watch. She had an infectious, prevailing smile. And, she could summon a take-no-prisoners expression that carried a different kind of weight, when necessary. Karen’s life was not without great sorrow. Perhaps the deepest of all was the loss of her and Mark’s second child, Dominic, who lived for only a week in 1974. Three years later, when Karen became pregnant, doctors warned her that she faced another dangerous pregnancy, so on their advice, she spent 7 months in CU Med Center in Denver, flat on her back to keep from losing baby Kendra. A few years later, Mark experienced a life threatening heart attack that required open heart surgery when he was only 42 years-old, another massive trial for the couple. In 1996, Karen went to battle against breast cancer. Staying at her parent’s home in Westminster, she was able to undergo aggressive chemotherapy and radiation. With her dad driving and her mom caretaking and praying, she spent several months traveling back and forth to treatments at two different hospitals. She was a cancer survivor for more than two decades. At the beginning of November of this year, Karen began to experience a new discomfort in her abdomen. The most organized and dedicated of women, she was sure nothing major could be wrong because she had followed medical advice in regard to regular tests and examinations. But when she began to have abdominal pain, upon the advice of doctors and the family, Karen had a cat scan that showed a blockage. Two days later she underwent surgery with specialists at Swedish Medical center in Denver. Less than four weeks later, Karen lost her second battle with cancer. She died on Sunday, December 2nd, the first day of Advent, just 29 days short of her 73rd birthday. 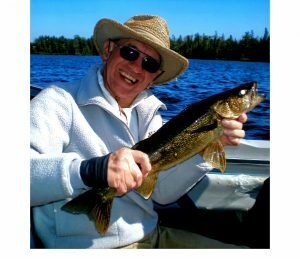 During her month long stay with the good doctors, nurses and other caretakers at Swedish, she suffered much, but in the way that was her signature in life, she –– and Mark, made friends, set examples, changed lives. In the Drake’s devout Catholic life, they know how to do this, to suffer with courage and hope . . . until hope is gone, then to say farewell with love and the message of hope that emanates from the very Faithful. As we say goodbye to our dear friend, Karen Katherine Zocholl Drake, we ask her to pray for us, to ask God to grant us the graces that carried her through a good and fruitful life, across the rivers of sorrow to the mountains whereupon live faith and hope and love. A Rosary will be prayed for Karen at Holy Name Catholic Church at 5:00 pm on Friday, December 7th. Karen’s Funeral Mass of the Ressurection will take place at noon, Saturday, December 8th at Holy Name Catholic Church.